France and Portugal refuse to let the plane, headed home from Russia, cross their airspace, which causes Bolivia to lash out at America. 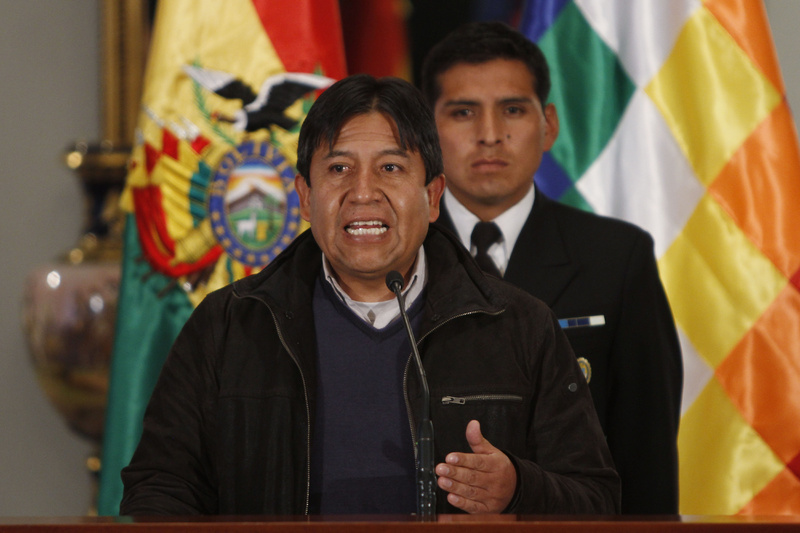 LA PAZ, Bolivia — The plane carrying Bolivian President Evo Morales was rerouted to Austria after France and Portugal refused to let it cross their airspace because of suspicions that NSA leaker Edward Snowden was on board, Bolivian officials said Tuesday. Officials in both Austria and Bolivia said that Snowden was not on the plane, which was taking Morales home from a summit in Russia, where he had suggested that his government would be willing to consider granting asylum to the American. A furious Bolivian Foreign Minister David Choquehuanca said France and Portugal would have to explain why they canceled authorization for the plane, claiming that the decision had put the president’s life at risk. He said that after France and Portugal canceled authorization for the flight, Spain’s government allowed the plane to be refueled in its territory. From there the plane flew on to Vienna. French government officials reached overnight said they could not confirm whether Morales’ plane was denied permission to fly over France. Officials at Portugal’s Foreign Ministry and National Civil Aviation Authority could not be reached to comment. Leaks by Snowden, a former NSA systems analyst, have revealed the NSA’s sweeping data collection of U.S. phone records and some Internet traffic, though U.S. intelligence officials have said the programs are aimed at targeting foreigners and terrorist suspects mostly overseas. Morales himself was present during the improvised press conference but chose not to speak to reporters. Morales will remain at the airport until his plane has been cleared for take-off. Austrian Foreign Ministry spokesman Alexander Schallenberg told The Associated Press that Snowden was not with Morales. One of Snowden’s best chances of finding refuge outside the United States may hinge on Venezuelan President Nicolas Maduro, who was also in Russia on Tuesday. 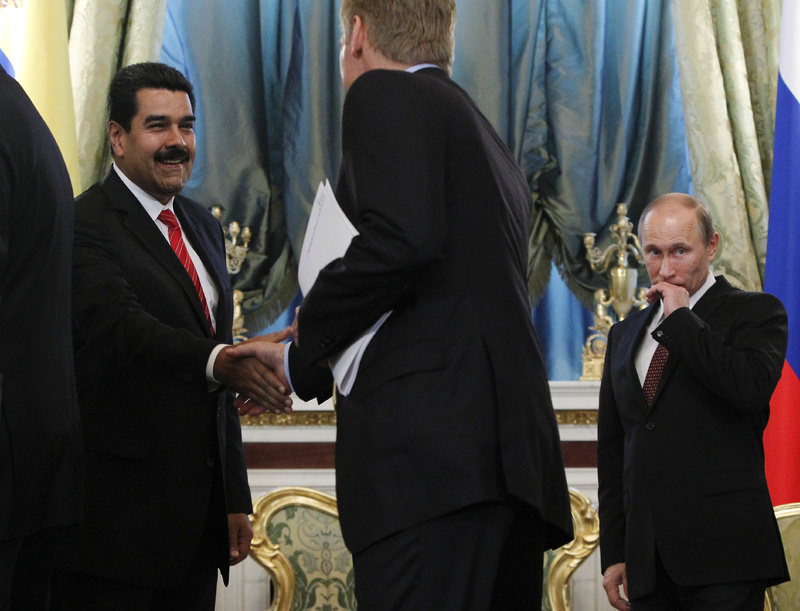 Maduro told Russian reporters that his country has not received an application for asylum from Snowden and dodged the question of whether he would take him with him when he left. In Venezuela, Foreign Minister Elias Jaua said that changing the flight’s route without checking on how much fuel it had put the endangered Morales. Another possible landing spot for Snowden is Ecuador, where Wikileaks founder and publisher Julian Assange has been seeking asylum. Snowden, who recently turned 30, withdrew a bid for asylum in Russia when he learned the terms Moscow had set out, according to Putin’s spokesman Dmitry Peskov. Putin said on Monday that Russia was ready to shelter Snowden as long as he stopped leaking U.S. secrets. Rebuffed by Russia’s president, the Obama administration has recently toned down demands Snowden be expelled from the Moscow airport in a sign that the U.S. believes he is not worth scuttling diplomatic relations between the former Cold War enemies. “Although I am convicted of nothing, (the United States) has unilaterally revoked my passport, leaving me a stateless person,” Snowden says in the statement. “Without any judicial order, the administration now seeks to stop me exercising a basic right. A right that belongs to everybody. The right to seek asylum.